I don’t particularly like people who wear camouflage to look cool or tough. I really don’t like those who wear it to pretend they are military or ex-military. 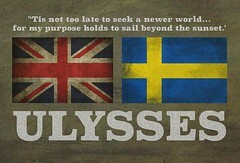 Glory seeking bastards. Heck, I don’t like to wear mine in public if I don’t have a good reason. I do wear it because you can pick up ex-military and military surplus camo clothes for a fraction of the price of other work clothes, and the military stuff is much tougher. Great for working on the car, gardening, and in my case, hunting rabbits. 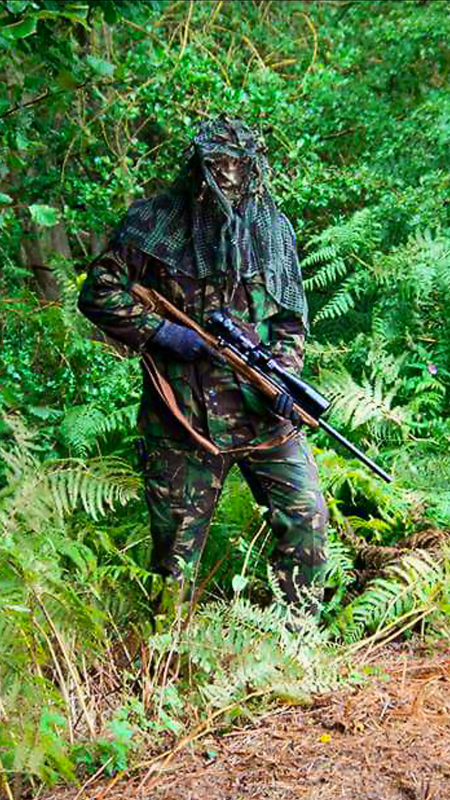 Let’s face it, DPM camo is designed to make being seen harder… So why wouldn’t I wear it when hunting bunnies? Anyway… After a morning of rabbiting to help keep the numbers down, stocking my freezer (and stopping the number of cow leg breaking holes being dug in the farmer’s meadow), I like to get a hearty breakfast from the local posh garden centre. A huge breakfast of stacked eggs, bacon, tomatoes, mushrooms, beans, toast and a cup of tea is just the thing to end a hunt and start a day, and this place does a fantastic breakfast with local fresh meats and eggs. Often there are old folk there, pottering around the bedding plants, looking at the fish in the ponds, buying boiled sweets, and having tea and cake with their remaining elderly friends. Most of them are quiet lovely, although there is always one bitter, entitled old hag who’s outlived her friends and as she no longer works, she goes to cafes and garden centres to complain loudly at the staff about mundane crap, but that’s another story. On this day, post hunt, I was in good spirits and in need of a dustbin lid sized breakfast platter. I found a seat in the cafe and ordered the ‘mega-breakfast’. It’s not just a clever name – it really is huge. As the food was brought over to me and placed on my table, an smart tweed dressed elderly man who was sat with his equally well dressed wife, looked over at me as I sat contemplating where to start on my mountainous meal. I noticed he was looking at me, so I looked up and smiled the smile of a person who was on the brink of gorging themselves on one of the finest breakfasts around. “That’s a heroes breakfast!” he said and smiled. I nodded back. He wasn’t wrong after all as this was one hell of a challenge, but I was up for it! I looked sheepishly at him and gave a single smiling nod, said thank you, and walked away. Quite bizzare that he’d said that, but it was a huge breakfast and he probably wouldn’t have managed half of it. Still seemed odd that he was proud of me for doing so! As I walked to the exit it dawned on me what I’d been oblivious too. I was in full camo, right down to army kit boots. He’d thought I was a serving member of our armed forces. I felt terrible. I didn’t intend to mislead anyone; I hadn’t even thought about it. He was giving me praise for something I hadn’t done – and whereas some bastards dress in military gear just to get that praise, I am not one of them. 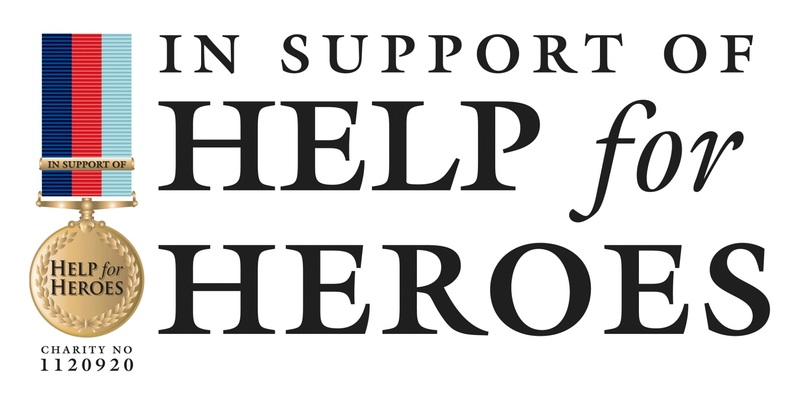 I donated some money to the very next ‘Help For Heroes‘ charity that I saw – if anything, just to pay it forward. I didn’t earn his praise, so I felt I had to make amends somehow. I won’t stop wearing camo; Like I said at the start, I have reasons to wear it… but I shall donate if I ever get genuinely mistaken for a member of our armed forces again (or happen to be passing someone collecting for them).